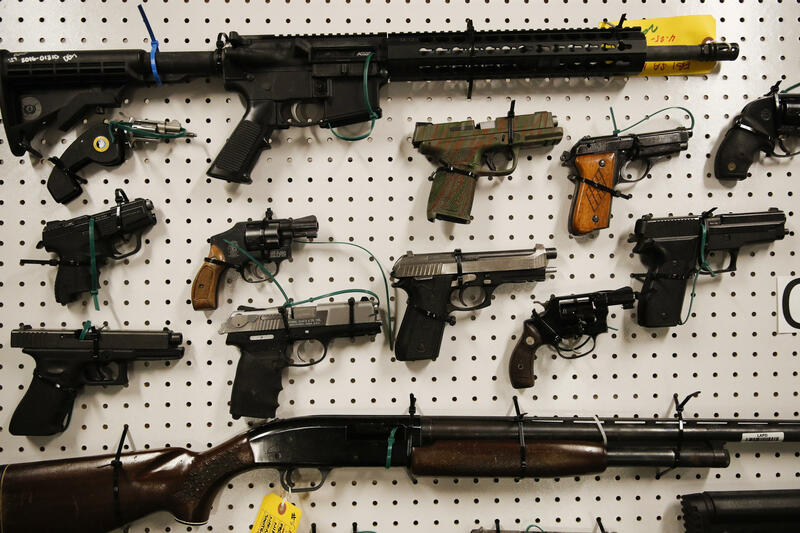 Gun laws will be hotly debated during this year's legislative session, which begins on March 5, 2019. One year after the massacre at Marjory Stoneman Douglas High School that left 17 dead, and many more wounded, pain and grief clouded the usually-cheery Valentine’s Day. Communities across the state took a moment to remember the lives lost. But advocates also made their voices heard once again. One year hasn’t healed the wounds ripped open by the deadly Parkland shooting. But those affected have turned their pain and anger into motivation. Students and activists are continuing efforts for gun control. A coaltion of activists, called Do Something Florida!, launched an effort earlier this week to put an assault weapons ban on the 2020 ballot. “It’s time that we as Americans recognize that every type of gun violence - no matter how many victims there are, no matter if it’s one person that’s injured or 49 that are killed - gun violence is a preventable issue and must be addressed in every zip code," said David Hogg, a Parkland survivor and co-founder of the March for our Lives movement. "And every weapon that is used must be addressed." The fight for gun reform is heating up at the capitol. Democratic lawmakers, backed by advocacy groups like Moms Demand Action for Gun Sense, are rallying for tighter regulations. There are nine Democratic-sponsored measures, with more still being drafted, that aim to crack down on gun violence. Among the proposals: banning assault weapons, imposing stricter concealed carry license requirements and conducting universal background checks. Last year saw the one of the state's most comprehensive gun reform package in decades – raising the age to buy a handgun from 18 to 21 and creating the guardian program which places armed guards on school campuses. A commission charged with making school safety recommendations wants the guardian program to arm teachers as well. That move has faced blowback from Democrats and groups like the Florida Education Association. “There was a campus monitor, a coach, 20-year Navy guy, former military police officer, Chris Hixon, who walked through that door unarmed to go confront Cruz, and he was shot," said Bob Gualtieri, chairman of the MSD Public Safety Commission and Pinellas County Sherrif. "And when he was shot, he fell to the ground, and he crawled across the hallway to a place of safety before Nikolas Cruz came by and executed him. If Chris Hixon was allowed to carry a gun, Chris Hixon would have shot and killed Nikolas Cruz — or at least tried." The Republican-controlled legislature has largely worked to expand gun rights over the years, not scale them back. This session is no different. A bill by Pensacola Republican Representative Mike Hill would remove all restrictions put in place post-Parkland, and a measure allowing for concealed carry on college campuses has been filed again, despite failing in past years. Thanks to WLRN's Jessica Bakeman, Caitie Switalski and Sam Turken, and WGCU's Andrea Perdomo for sound used in this report. How Have Florida's Gun Laws Changed Since Parkland? Today marks the one-year anniversary of the Marjory Stoneman Douglas High School shooting in Parkland, Florida. On Feb. 14, 2018, former student Nikolas Cruz killed 17 students and faculty members and injured 17 others in one of the deadliest school shootings in U.S. history. Florida has implemented the most legislative changes since the Parkland shooting, and as measures have been debated in other states, few have become law. Here are the most notable gun control proposals that have been brought forward in the past year.